Andree McLeod sits during opening arguments in an Anchorage, Alaska court room Tuesday Aug. 4, 2009, in a lawsuit brought by McLeod challenging former Alaska Gov. Sarah Palin's use of private e-mail accounts for official business. It’s tough getting up to the front of the line of those wanting to call Sarah Palin for the truckload of lies spewed in Going Rogue. Even John McCain has gotten into the act by charging Palin with fabricating a $50,000 bill she claimed she got stuck with for her “vetting” and by praising the two aides targeted by Palin, Steve Schmidt and Nicolle Wallace. Up in Alaska, the line is just as contentious. Everyone from Palin’s first years on the Wasilla City Council to her gubernatorial aides have challenged Palin’s rendition of her political career in the Last Frontier. But perhaps the nastiest and most duplicitous passages of all in Going Rogue are those directed at Andree McLeod, the longtime Republican watchdog out of Anchorage who filed many of the Alaska Ethics Act complaints that, by Palin’s own admission, hounded her from office. Palin’s venom directed at McLeod is both racist and viciously inaccurate. Perhaps a court will one day determine if it’s also libelous. 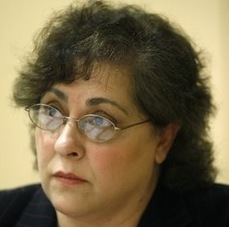 McLeod, now in her mid-50s and who is of Armenian descent by way of Lebanon, is referred to as the “falafel lady” repeatedly by Palin throughout her book. It’s an intended slur of ethnic derision, loaded with all of Palin’s adolescent fury. It’s also reminiscent of those members of Palin’s “Team Sarah” who referred to Barack and Michelle Obama’s Inaugural Dance as the “Watermelon Roll.” The phrase is as appalling as it is infantile. Sarah Palin's overwhelming vindictiveness is apparent throughout "Going Rogue." Maybe in their business lives, conservatives are the stern, unforgiving masters of capitalist lore. But when it comes to politics, oh, do they love a whiner! It is her mastery of the lament that explained former Republican vice presidential candidate Sarah Palin‘s appeal last year, and now her knack for self-pity is on full display in her book, “Going Rogue.” This is the memoir as prolonged, keening wail, larded with petty vindictiveness. With an impressive attention to detail, Ms. Palin settles every score, answers every criticism; locates a scapegoat for every foul-up, and fastens an insult on every critic, down to the last obscure Palin-doubter back in Alaska. Former GOP presidential candidate Senator John McCain comments to "The Hill" on his vp running mate Sarah Palin's new book "Going Rogue." Sen. John McCain (R-Ariz.), who spoke to The Hill Monday evening, denied Sarah Palin’s allegation that his campaign stuck her with a $50,000 legal bill to pay for the cost of vetting her as a potential vice presidential candidate. McCain said the bill was for legal work related to allegations that Palin made improper use of her influence as Alaska’s governor to press for the dismissal of a state trooper named Mike Wooten. Wooten was embroiled in a custody dispute with Palin’s younger sister, Molly McCann. In a statement to the Associated Press, Potter, McCain’s general counsel, denied that McCain’s campaign billed Palin for vetting her. “To my knowledge, the campaign never billed Gov. Palin for any legal expenses related to her vetting and I am not aware of her ever asking the campaign to pay legal expenses that her own lawyers incurred for the vetting process,” he said. Palin made the charge in her new book, “Going Rogue: An American Life,” which listed a litany of complaints Palin had with McCain’s campaign, such as its decision to limit her access to reporters. Palin also questioned how the campaign handled the announcement of her daughter’s out-of-wedlock pregnancy. 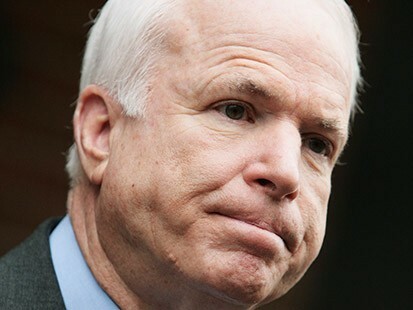 McCain told The Hill that he nevertheless enjoyed Palin’s book. “I hope she sells lots of them,” he said. Palin received a $5 million advance from HarperCollins, according to the New York Times. "Going Rogue: An American Life" presents Sarah Palin's distorted view of politics and reality. The Cover Byline: Palin didn’t write the book by herself. Most books with known ghostwriters list their co-author’s name on the cover. In this case it was Lynn Vincent (a well-known homophobe). Going Rogue does not. Going Rogue features Palin’s obsession with Katie Couric and characterizes the CBS anchor as “badgering.” Palin refused to prep for the Couric interview because she was more concerned about her popularity in Alaska than about what was best for the campaign. Was it really badgering to ask what books or periodicals Palin read? 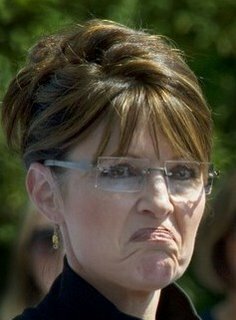 Palin further claims that Couric suffered from low self-esteem. In fact, according to those close to Palin, it’s the former governor who suffers from low self-esteem and frequently projects that onto other women. Palin asserts that there was a “jaded aura” around McCain’s political advisors once she entered the campaign. In fact, McCain’s aides bent over backwards to protect Palin and to try to get her up to speed on international affairs. In addition to not knowing whether or not Africa was a continent, according to sources in the McCain campaign, Palin also didn’t understand the difference between England and Great Britain. And much, much more. Palin contends to have been saddled with legal bills of more than $500,000 resulting from what she calls “frivolous” ethics complaints filed against her. The lion’s share of those bills resulted from the ethics complaint she filed against herself in a legal maneuver to sidestep the Troopergate charges being brought against her by the bipartisan Alaska Legislative Council. Palin states that she found out only “minutes” before John McCain’s concession speech that she would not be allowed to make remarks of her own introducing McCain. In fact, she had been told at least three times that she would not be allowed to give the speech and kept lying about it in the hopes of creating some last-minute chaos that would allow her to assume the dais. Palin asserts that her effort to award a license for a natural gas transmission line was turning a “pipe dream” into a pipeline. Although she claimed otherwise in her speech at the GOP convention, there is no pipeline. It remains a pipe dream. Palin implies that the McCain campaign intentionally bungled the release of information regarding her daughter Bristol’s pregnancy and refused to let her rewrite it. In fact, the McCain campaign allowed her to rework the draft, but the original version went out accidentally. Palin reportedly accepted the recalcitrant staff member’s apology for the mistake, then when she left, ordered her immediately dismissed of her duties. Award-winning writer and filmmaker Geoffrey Dunn’s book The Lies of Sarah Palin: The Untold Story Behind Her Relentless Quest for Power will be released by St. Martin’s Press in spring 2010. 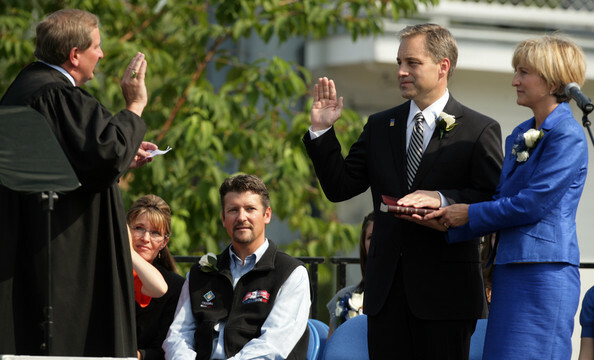 Frank Bailey was former Alaska governor Sarah Palin's director of boards and commissions. ANCHORAGE, Alaska — A California publicist and two co-authors have terminated a book deal with a former aide of former Alaska Gov. Sarah Palin. Christiana Grace, company co-owner and one of the co-authors, says she can’t elaborate on the reasons for the termination. But she adds it was not a falling out with Bailey, her close friend since college. Bailey could not be reached for comment. Bailey was embroiled in Troopergate, the investigation of Palin’s firing of her police commissioner over allegations he wouldn’t fire a trooper who went through a contentious divorce from Palin’s sister.